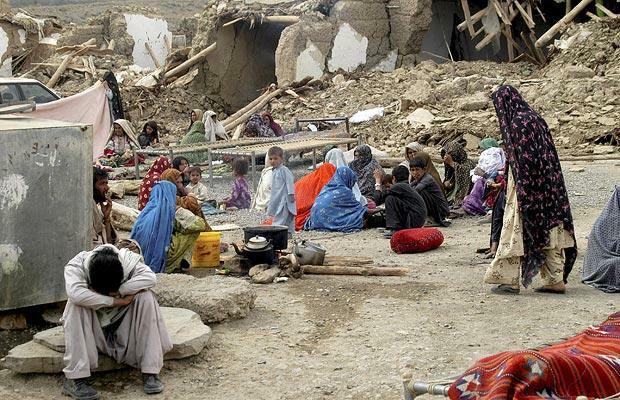 Pakistan earthquake death toll raised to 328 while hundreds more are wounded in south-west province of Balochistan. People gathered on the beach to see the new island, which is reported to be about 656ft long, 300 ft wide and 60ft high, and scientists have been sent to survey it. Tuesday’s quake was so powerful it was felt as far away as India’s capital, Delhi, and Dubai. Workers in Karachi had to evacuate their offices because of the strong tremors. More than 300,000 people have been affected over a total of six districts – Awaran, Kech, Gwadar, Panjgur, Chaghi and Khuzdar – Balochistan government spokesman Jan Muhammad Buledi said. The death toll currently stood at 328 – 160 in Awaran town, 125 in other areas of Awaran district and 43 in Kech. Helicopters have been airlifting the most seriously injured to Karachi, while others are being cared for in neighboring districts.